How do you learn to be a black man in America? Mychal Denzel Smith chronicles his own personal and political education during these tumultuous years, describing his efforts to come into his own in a world that denied his humanity. Smith explores these themes with the precision of a neurosurgeon, cutting through America’s cancer of white supremacy ... Smith recognizes that this struggle to be free must also include an effort to rid the black community of sexism, misogyny and homophobia; otherwise blacks are no better than the very people who oppress us ... Smith adroitly wrestles with the persistent question of what it means to be a black male in a society that denies him his humanity ... This is a must-read book. With raw urgency, intelligence and blistering candor, it tells the story of a young man’s political education ... f Smith were merely telling that story, his book would make an interesting contribution to contemporary political commentary. But it is his pointed self-examination that makes it rarer and altogether more valuable, a book that gives us stories about how we learn to change, and not just arguments about why we should. Blending memoir and cultural criticism, the book’s form allows Smith to narrate his coming-of-age while interrogating it at the same time. He wants to offer answers 'for the martyrs and tokens, for the Trayvons that could have been and are still waiting' ... he reserves his most acidic critiques for Hampton administrators, Obama and Smith’s own father. All three, Smith argues throughout, attempt 'to muzzle the radical voices of young black people.' They enforce the kind of paternalistic respectability politics that manages to pander to white supremacy while further demoralizing young black men with unattainable and useless standards ... Throughout, Smith attempts to speak through hip-hop’s urgent lyricism, draw analytical force from black satire and comedy, improvise on the black literary canon’s rhetorical practices, and emulate the treatises of black feminism and black power ... 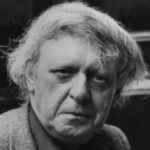 Given the pressure he wants us to apply to eliminating these negative systems, readers deserve critical ­practices for accomplishing this, rather than platitudes. I say this more by way of emphasizing the importance of Smith’s project — which demands to be taken seriously — than to detract from it. 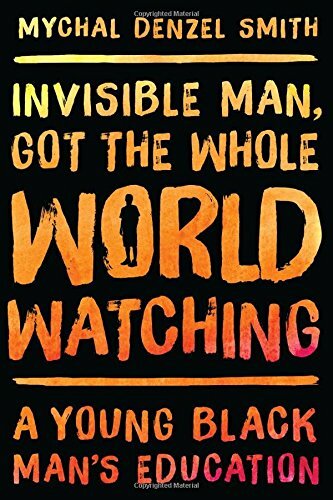 What did you think of Invisible Man, Got the Whole World Watching: A Young Black Man's Education?